Apple on Wednesday took the unusual step of officially announcing a series of photos shot using the Portrait mode on the iPhone XS, specifically calling attention to the Depth Control feature which lets people adjust simulated depth-of-field after a photo has been taken. An update "coming soon" will bring Depth Control to the Camera app's real-time preview, Apple said. The company has teased the upgrade in recent weeks, which could arrive as soon as iOS 12.1. 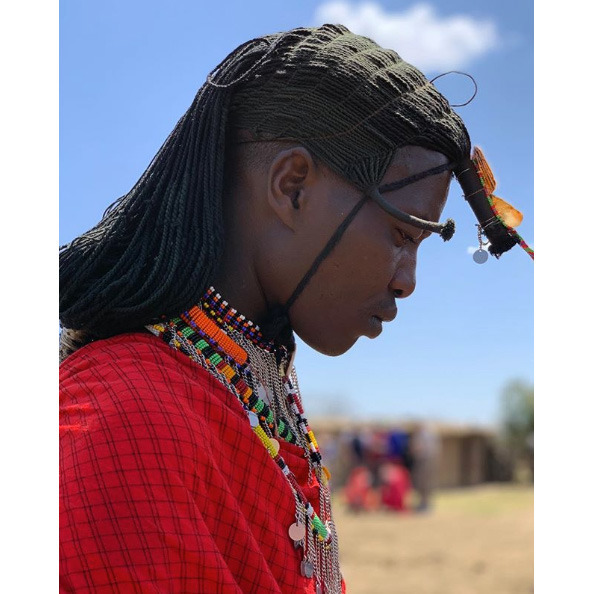 The highlighted photos were shot in places such as France, Germany, Myanmar, and the African Savannah, and pulled from Twitter and Instagram posts with the hashtag #ShotoniPhone. Apple appears to have approached posters asking for permission to use their images. The photos are mostly close-ups of people, except for one which uses Portrait mode to isolate leaves. Apple's "Shot on iPhone" campaign has been running for many years, beginning when the company realized iPhone photos were beginning to equal those from compact cameras and even DSLRs. Some magazines and film directors now occasionally use iPhones for professional shoots. The iPhone XS sports a similar dual-camera system to that of the iPhone X, but with a larger sensor for better light sensitivity, and enhancements made possible by the A12 Bionic's Neural Engine and an Apple-designed image signal processor. Aside from Depth Control, one example is "Smart" HDR, which is said to be faster and more accurate than earlier versions.